Dordan Manufacturing offers vendor managed inventory to those customers with multiple, high-volume thermoform SKUs and fluctuating need by dates and quantities. Vendor Managed Inventory is when Dordan internally manages the production, inventory and warehousing, and shipment of it's customers' thermoformed parts and packaging. 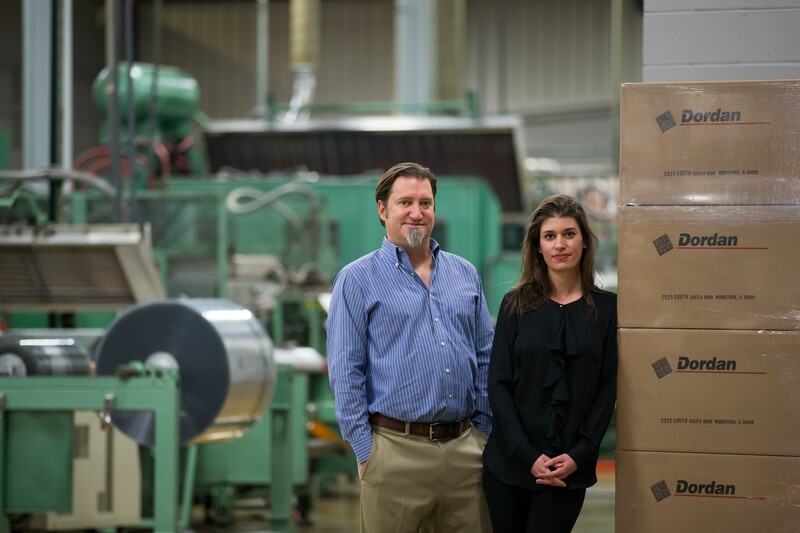 Through an understanding of it's customers' annual thermoform consumption, a min-max program is established where Dordan commits to keeping a ready-to-ship inventory on hand. At the request of its customer, Dordan releases needed quantities, which can be shipped same day; thus, the only lead time is the time it takes to get the parts from Dordan's warehouse to the customer's site. Risk is mitigated for both the customer and Dordan, as the customer is only billed per releases, and Dordan has commitment from the customer for a half or full year's thermoform buy. Preferred partnerships with material suppliers: With 55-years experience providing thermoformed products and packaging, we have developed strategic partnerships with key suppliers; this allows us to ensure exceptional product quality at competitive costs. Vertically integrated manufacturing: By having all package design, tooling, and production on-site under one roof, Dordan offers greater scheduling flexibility and shorter lead-times, increased quality control and competitive pricing. Vendor managed inventory (above): Dordan offers its clients inventory management services; we monitor inventory, which includes sending detailed reports to our clients communicating inventory realities; and, if quantities drop to a pre-set level, we will notify said client to replenish stock. Real-time scheduling: Dordan's transparent scheduling grants our clients access to pertinent information about the status of their job: Run quantities, production rates, and projected estimated delivery dates provide our clients with the information they need to ensure the successful manufacture and delivery of their product. Shipping management: In order to ensure our clients' timelines are met, we offer a variety of shipping management services. These include "just-in-time" delivery, drop ship, full product tracking, and bar code capabilities. Dordan also offers batch releases, which means we can run bulk quantity orders, inventory, and ship a fraction of the stock at pre-set dates; this allows our customers to achieve lower piece part prices due to bulk quantity run regardless of how much product is needed throughout the year.